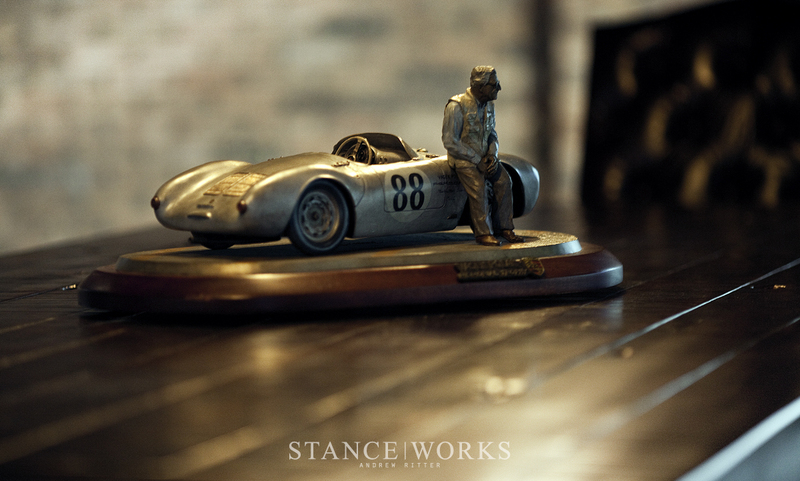 The schedule at StanceWorks is constantly shifting; opportunities come up, and others fall through the cracks. Photoshoots get moved around, and the calendar of events to be attended rarely lets up in the summer months. Free weekends are a selfish blessing, and even those too give way to the responsibilities of work. Sometimes, however, the opportunities we're given are one-fo-a-kind. This past weekend, we found ourselves with invitations to join Porsche at their all-new Experience Center in Atlanta Georgia, as some of the first to visit the newly-opened facility. If that wasn't exciting enough, track time with the 2015 lineup of P-cars proved motivation enough to surrender our Saturday. We boarded a plane on Friday afternoon for Atlanta, not entirely sure of what the weekend would hold. We knew we'd get some seat time, and of course, a full tour of the $100,000,000 (yes, that's one hundred million dollars) 27-acre facility, but past that, things were a bit of a mystery. After a short night of sleep, we arrived at the compound bright and early. We were part of a small group, maybe 16-20 individuals total, present as the first official guests of the Porsche Experience Center, short of those whom attended the private grand opening party a week prior. After introductions, we were given a tour of the facility, which sprawled in several directions, chock full of ways to spend time and money. 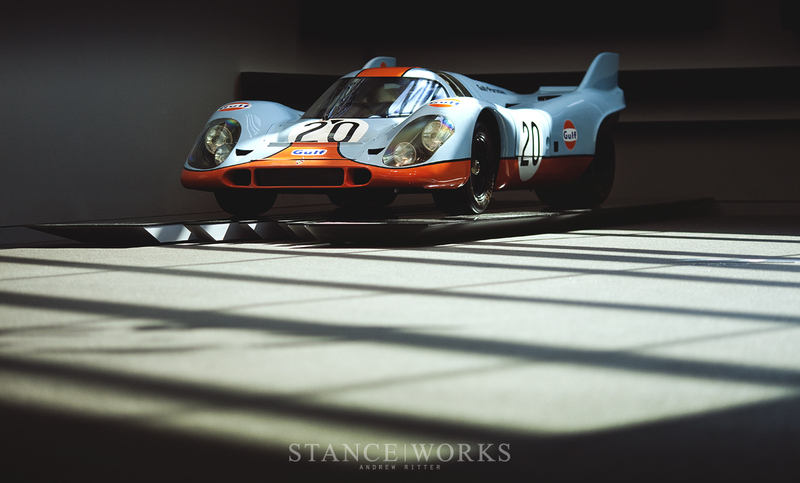 In the lobby sat an original Porsche 917, and opposing it was the new 919 prototype car. 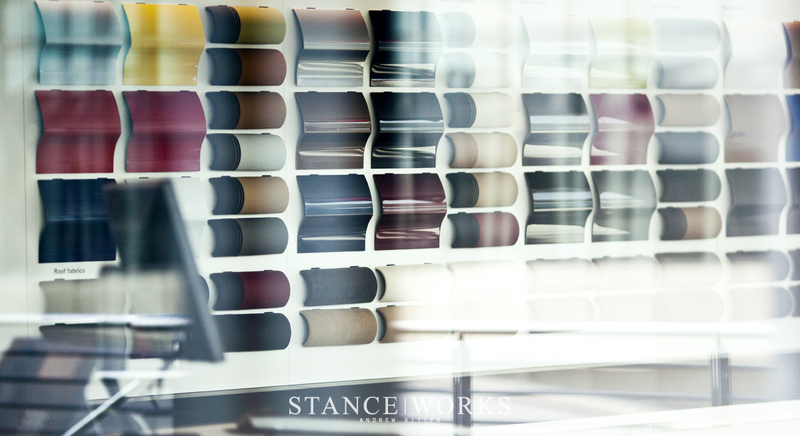 A Porsche Design retail store was just a few feet away, and an office meant for custom-ordering Porsches, down to the minute details, was nearby. The "Carrera Cafe" served as our first meeting place, a small bistro where breakfast and drinks were served. 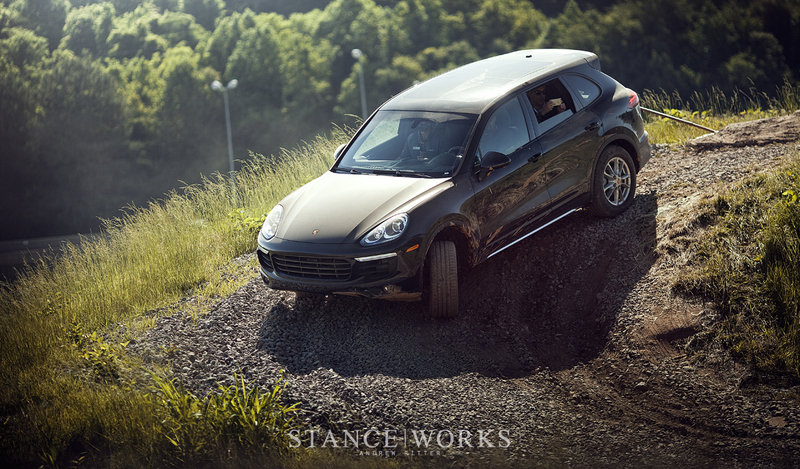 The team at Porsche explained the day to come, which was divided into different sections, the first of which included an explanation of the facility's test track, initial laps with an instructor, and testing the Cayenne's off road abilities on the off road course. The test track is unique, divided up into a series of "modules," each built to cater to pushing driver limits in differing scenarios. 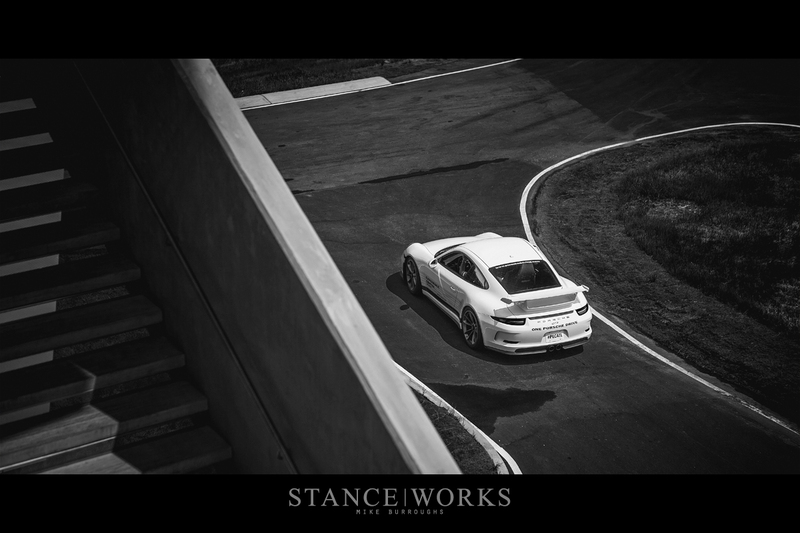 The perimeter of the course, which most closely resembled a traditional road course race track, was known as the "Handling Circuit," which Porsche claims was built to mimic the turns and changes of a twisting mountain road. Branching off, an inner section built out of slick polished concrete is known as the "Low Friction Handling Circuit, built to induce understeer and oversteer under throttle and braking. 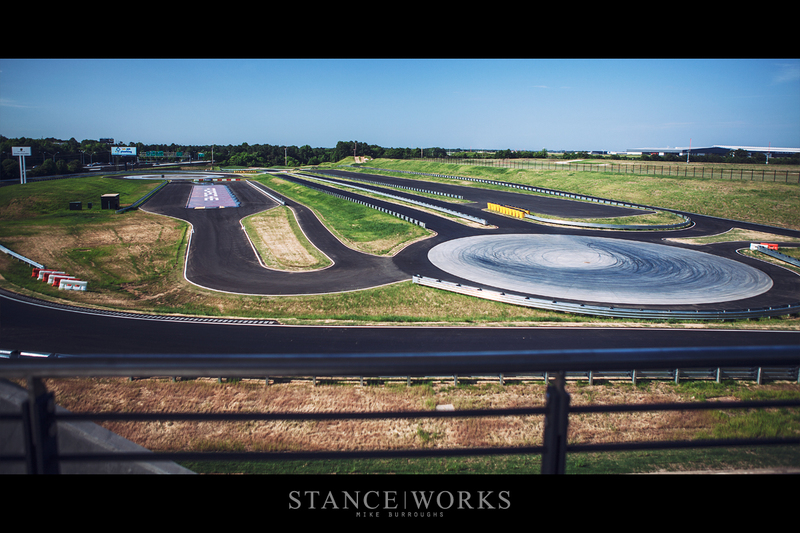 The course includes a traditional skid pad and "Dynamics Area," which is an expanse of concrete perfectly suited to launch-mode testing and the like. 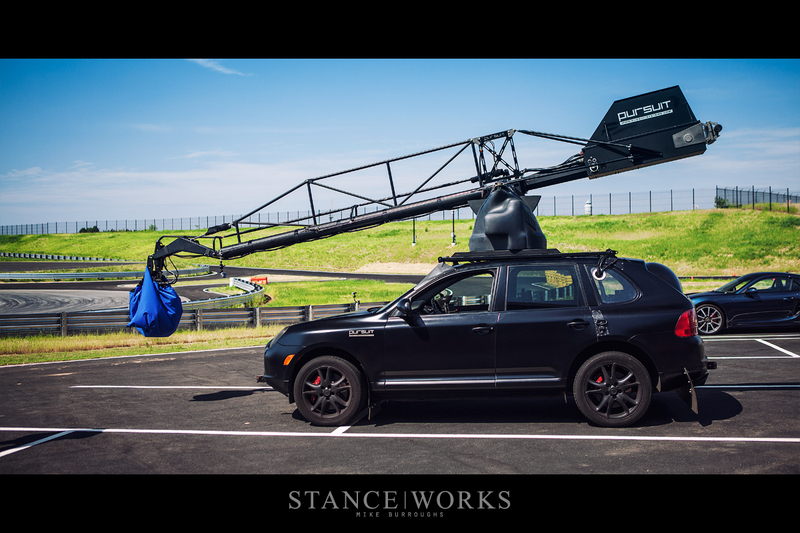 Lastly, the Porsche track houses North America's only "Kick Plate," a unique hydraulically-controlled piece of equipment specifically built to kick the rear end of the car out with varying degrees of strength in a random direction. The unit exists to teach drivers counter steering and correction techniques, and proved difficult even for talented driving instructors to nail every time. Last on the list was the off road circuit, which was made up of impressively steep grades, deep muddy trenches, varying surfaces, and inclines in all directions. It was our first drive of the day, and while the course pushed the limits of the Cayenne, it pushed our impressions of the car substantially further. Factory locking front, rear, and center differentials, as well as adjustable air suspension, gave the SUV capabilities that surpassed even my own Land Cruiser's. 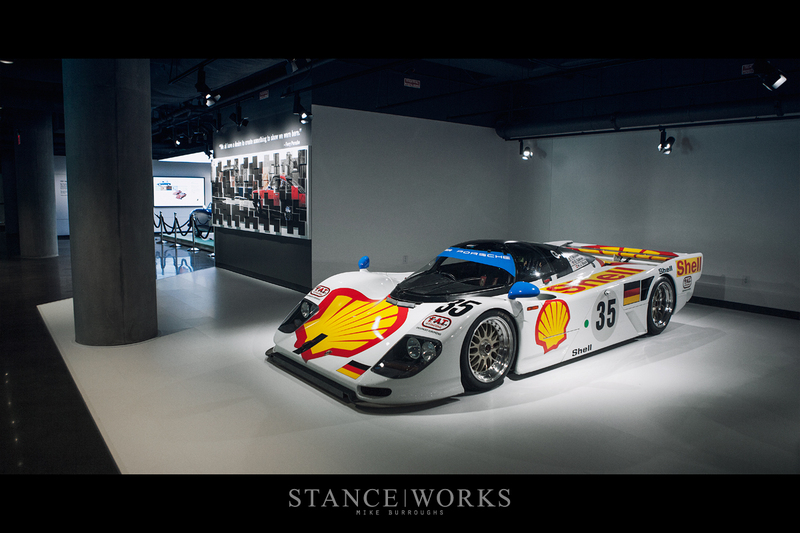 We broke for lunch, which took place at "356," the in-house 5-star restaurant named after the first Porsche model. Afterwards, we were finally handed they keys to much of the current model lineup - the Panamera, a Macan Turbo, a Boxter, the 911 Carrera S and Turbo, and lastly, my personal favorite, the Cayman GTS. Laps were carried out with an instructor by our side, with some carrying a bit more lenience for pushing limits than others. 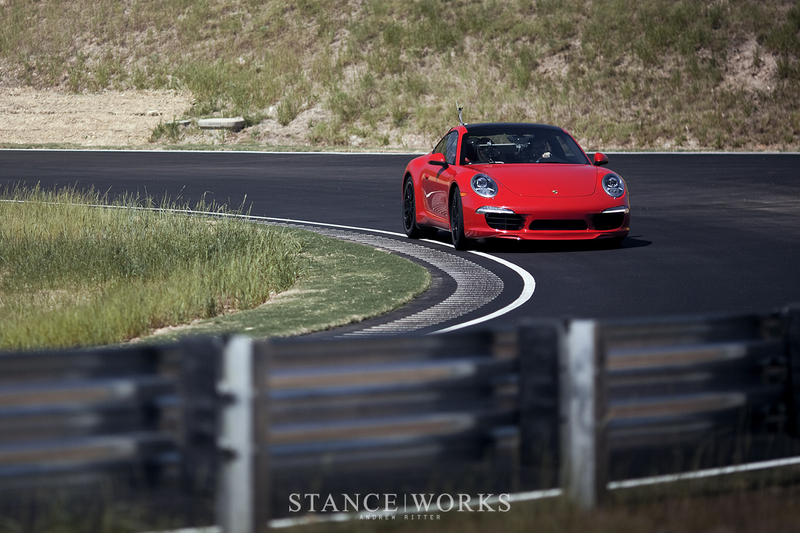 The course's k-rails and barriers sit just inches off the tarmac, giving no room what-so-ever for error; nevertheless, with the chance to hammer on a group of brand new Porsches, we weren't going to pussyfoot around the course. 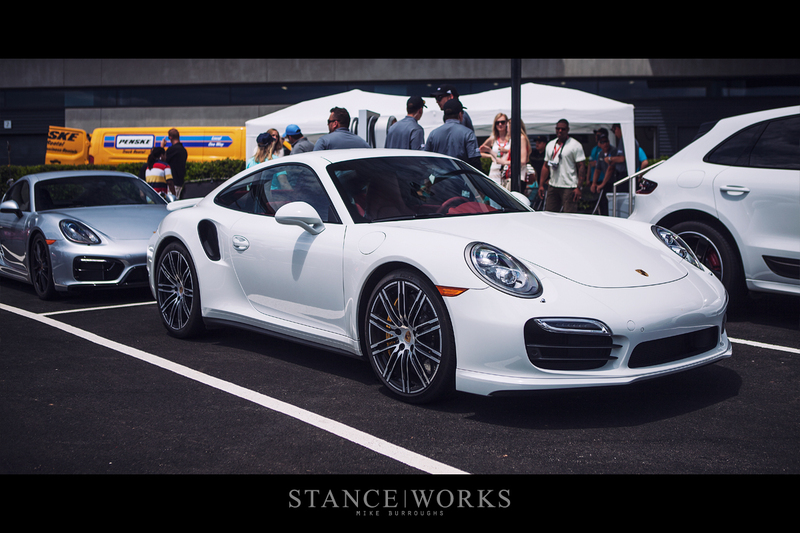 The cars were each impressive in their own right; the Macan Turbo was downright fast for an SUV, and the 911 Turbo left little to be desired. The Cayman GTS possessed a balance that was unparalleled, and its nimble demeanor and loud growl made it hard to hand the car over at the end of the session. 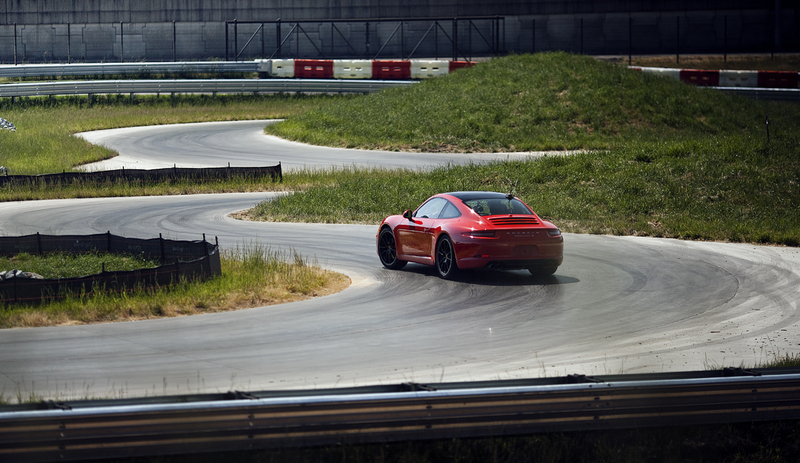 Each of the track modules proved educational, offering the chance to experience the ways in which each car was different, as well as highlighting what makes the rear-engined 911s so unique. 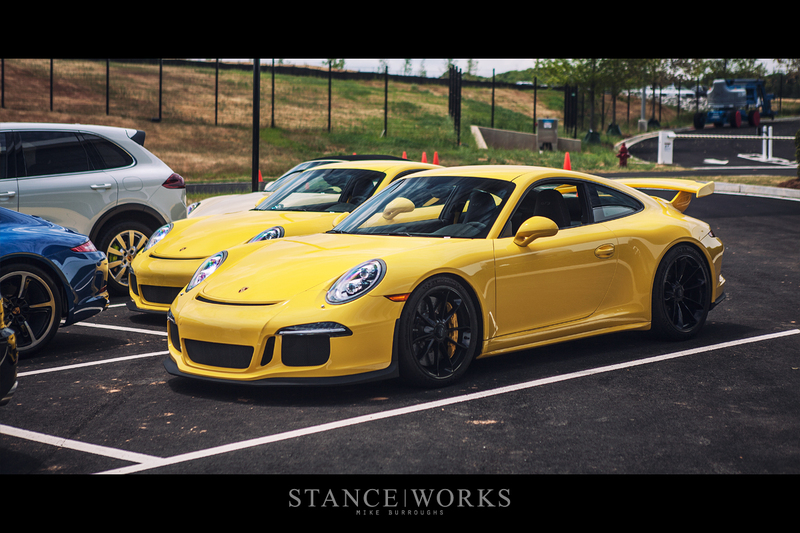 After our own runs, we were given the chance to lap the track as a passenger, this time in the new GT3. Visceral in every sense, the GT3 scrambled its way around the course, highlight both its own prowess and my own lack of speed through the turns. Where I thought I was quick, the GT3 was incredible. After the driving was done, we moved inside for the final moments of the day. We browsed around further, taking in everything the monolithic center had to offer. Below the main floor was the historic section. 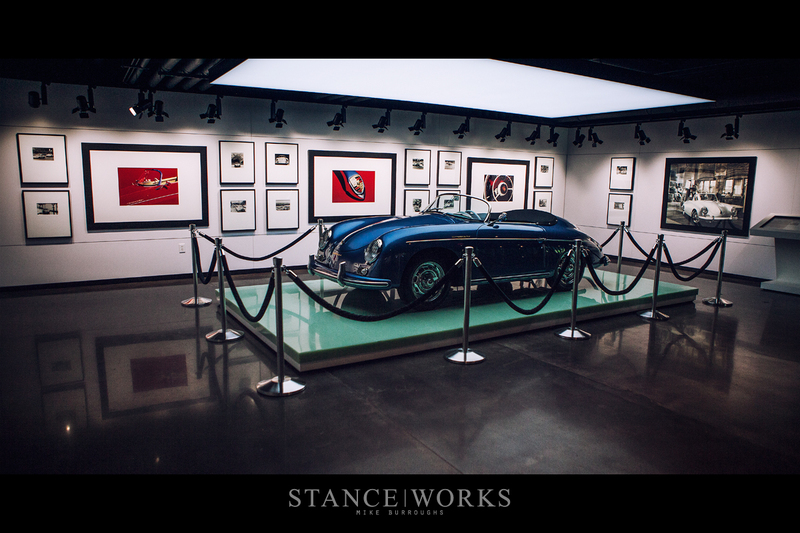 Inside, a few classic Porsche road and race cars were on display, and not far from them, the Porsche Archives: bookshelves that held records, logs, documents, and more, all of the history of the brand and its vehicles - the ultimate resource for any fanatic of Porsche history. Across from us was the restoration facility - an arm of the building dedicated to restoring customer cars to like-new condition. Deep pockets are required, but the craftsmanship is unmatched. 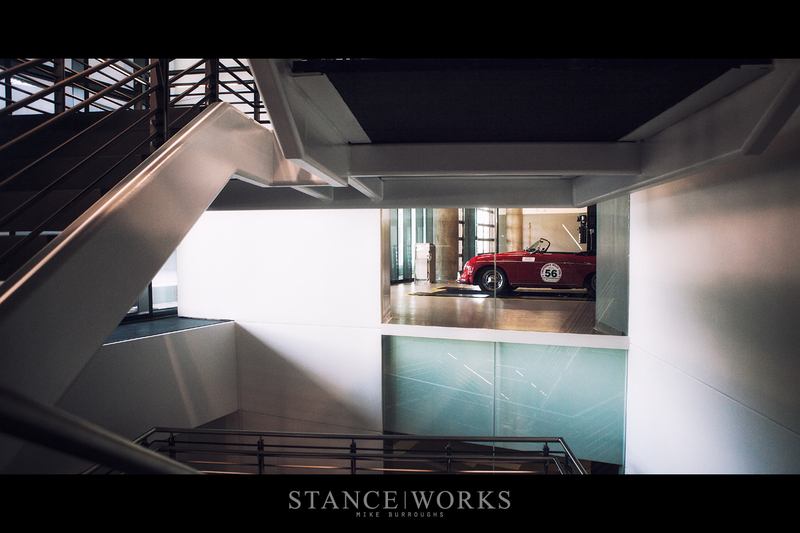 Further up the stairs were many of Porsche NA's offices, and around the corner, meeting rooms and a business center, available to Porsche owners and fans passing through, perhaps during a layover at the Atlanta airport just yards away. Last but not least was the impressive EXOS fitness and human performance center, available to both Porsche drivers and any Porsche fan looking to take their physical fitness to its peak. While short-lived, our trip to Saturday happened to be immeasurably worthwhile. The Porsche Experience Center is impressive in every way, and our time behind a wheel with a crest left a lasting impression. I've raved for years about the BMW marque, but now I find myself inkling for a Cayman of my own. Who'd have guessed? Quick... someone get me in an M3... I'm not sure what's happening. like to include the appropriate credit. Is it Lawrence Braun?